Earlier this year, I wrote about the emerging trends in social and the “Rise of Interest Based Networks.” In my blog post, I argued that social media, like traditional media before it, was a big and broad market and would support a range of offerings beyond the “big three” social networks of Facebook, LinkedIn and Twitter. I forecast that we would see a rise in more verticalized, topic specific services. Where Facebook organizes around one’s friends, or “social graph,” these new social media sites would organize around users’ interests, the “interest graph.” Interest based networks such as Pinterest, Quora, Mightybell, PandaWhale, Thumb and Fitocracy are just a few examples of companies we saw gain traction among consumers and investors in 2012. With the end of 2012 approaching, I started to assess what’s happened in the space this year and identified a few areas with the potential to reshape the social landscape. As we move into 2013, a year in which funding appears to be harder to secure, these factors will be instrumental for both start-ups and larger companies alike. First, the move to mobile has definitely affected interest-based networks. A notable shift was Pinterest’s launch on phones and tablets, but many other start-ups also made a mobile push. Fitocracy, an interest based social network oriented around fitness that was originally Web-only, launched its iPhone app earlier this year, and has seen usage on mobile surge to a huge percentage of its overall engagement and traffic. Thumb, an iPhone and Android-based social network that allows people to ask questions and get instant responses, sees extremely high user engagement through its mobile apps, to the tune of over five hours per month per monthly active user and over 1 billion total yearly responses. Users are spending lots of time engaging on social media from their mobile devices, but they are discerning and demanding. Consumers want responsive, well-designed mobile apps, and as engagement on mobile continues to grow, social services that nail their mobile experiences will reap the benefits of this momentum. Second, a consistent concern over the year has been the effectiveness of advertising as a revenue driver on new social and mobile platforms. On the eve of the Facebook IPO, GM pulled back from its $10M advertising spend, and they are not the only ones who have doubted Facebook’s plan to drive revenue on mobile. More recently, after a disastrous snafu that released earnings early, Wall Street analysts dropped Google’s share price by nearly 9 percent due to concerns that its mobile ad business would not monetize as well as it did on the Web. These examples underscore a basic concern, namely, mobile and social-oriented networks are not set up to monetize as well as the Web on desktops. My own view is more optimistic. Certainly social networks will have to refine their offerings for brands. This will likely take experimenting that will result in both good and bad outcomes that focus on solutions that benefit both companies and users. Mark Cuban recently critiqued Facebook’s approach on its Promoted Posts because it failed to reach a balanced solution for both parties. Over time, I expect that the mobile and social spaces will offer new opportunities to advertisers and brands to adapt and connect more effectively with their target markets. This isn’t a broken market; it’s just still in early stages of maturity. As with any maturing process there are both good and bad examples of how brands can work with social networks. Even on Facebook, which is the most heavily embraced by brands, many are weak in how they connect with fans and followers. For example, I’m a fan of Canon cameras, as are nearly 1.1 million other Facebook users. Visit Canon’s Facebook Fan Page, though, and it’s a ghost town. The last activity on the page I see was from April of this year. It’s ridiculous. Canon is the global market share leader in digital SLR cameras, with over a million fans willing to interact with them on Facebook. Yet the brand shows no evidence of photo contests, no showcasing of products, and lacks recent video demos of its cameras or lenses. Clearly, there are still global brands that haven’t really leveraged Facebook yet. This is fun. 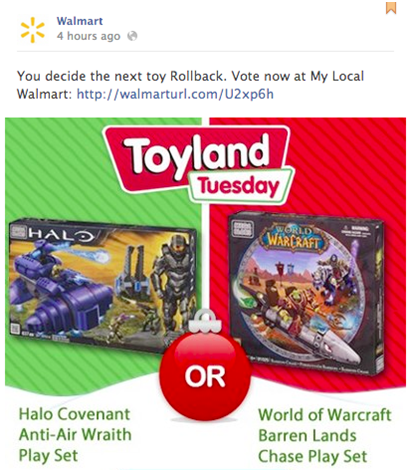 As a video game nerd, I get pulled in thinking about whether a Halo or WoW toy should be the rollback of the day. Walmart connects with me in an interesting way, and if I engage, the company gets potentially useful data. Walmart is starting to evolve. The potential for mobile social companies is even larger. Brands see the rising engagement and importance of mobile, and are working to figure out how to leverage it effectively. I look to companies like BlueRun Ventures portfolio company Verve Mobile, that focus on mobile ads targeting users leveraging location data, and see this opening all sorts of new opportunities and campaigns options for brands and advertisers. There is often a misperception that location-based marketing is about catching a consumer as they are in front of the shelf or just walking into the store. On the contrary, there are more creative ways to leverage location that are as insightful as search was to intent. For example, understanding that your target consumer is shopping at competitors’ stores or has visited a number of locations in your category is a strong signal of purchase intent. These are opportunities that weren’t available before smartphones. Couple location with data from social or interest-based graphs, and it becomes a powerful platform. The fact that the relationship between social and mobile networks and brands is still maturing bodes well for start-ups, as they are nimble enough to test the countless avenues toward revenue. This is especially true for the interest-based social apps and services, which are known to quickly gain users and engagement. Brands are going to be looking for scale and how much time their users spend on the service interacting. By focusing on building a great community, there will be an opportunity to ride the wave of advertising dollars that will inevitably shift into social and mobile as brands adapt. Start-ups also need to think about what an ad unit really means on their service and how they can monetize their brands without compromising their product experience. The aperture for advertising is more important than ever in mobile and it is something that both brands and start-ups need to work together on to get right. 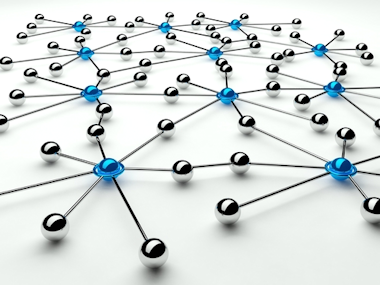 There are two broad categories of interest-based networks, and both are seeing companies succeed in 2012. One category is verticalized, subject-themed networks such as Foodspotting (food), Rapgenius (rap lyrics), 9Gag (humor), Wedding Party (weddings) and Fitocracy (fitness). The promise of these services is that they deliver value to users in a specific slice of their lives. They create strong, loyal communities that can be valuable targets for brands. The challenge they face in the evolving ecosystem is how to sustain growth and user acquisition given their vertical focus. 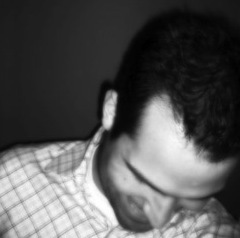 The other approach is horizontal: Pinterest, Quora, Path, Thumb and PandaWhale. These services span a broad range of topics, but offer a different interaction model — whether through pinboards in the case of Pinterest, or questions and answers in the cases of Quora and Thumb. These networks have broader audiences that can be spliced into specific targets, but will require large scale to deliver meaningful targets in specific areas (e.g. number of users on Quora that are interested in a particular topic). In this segment, the mechanics for driving engagement and analytics will be very important to delivering advertising targeting and conversion. Both approaches will likely yield winners. And there are many questions I ask myself when evaluating these companies and looking ahead to 2013. For vertically focused networks, the question will be when and whether those services need to scale into other areas. Will Foodspotting expand to offer Winespotting? Will Wedding Party extend into Baby Shower Party? And will the users follow? For horizontal services, the question is how to extend the entire platform more broadly, to make it more mainstream. Pinterest has seemingly crossed this chasm. Some have questioned whether Quora will do so, though I’m extremely confident it will. Looking back on what has shaped the ecosystem to this point, it is impossible to ignore the effect continued growth on mobile and increased interest from brands will have on the current batch of social contenders in 2013, new and old. The goal is to deliver a service that adds value to users, builds a community, and helps power users and key contributors gain recognition and notoriety. But the path to success will be varied. I will say that from my vantage point as an investor that, heading into 2013, if mobile doesn’t factor very heavily into the approach of an interest-based social network, then I’m not interested. Skate to where the puck is going is the lesson here. 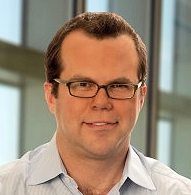 Jay Jamison is a Partner at BlueRun Ventures, who focuses on early stage mobile, consumer and enterprise investments. 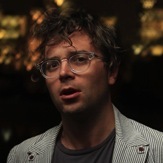 He also serves on the boards of AppCentral (acquired by Good Technology), AppRedeem, Foodspotting, and Thumb. You can follow Jay on Twitter @jay_jamison or read his blog at www.jayjamison.com.